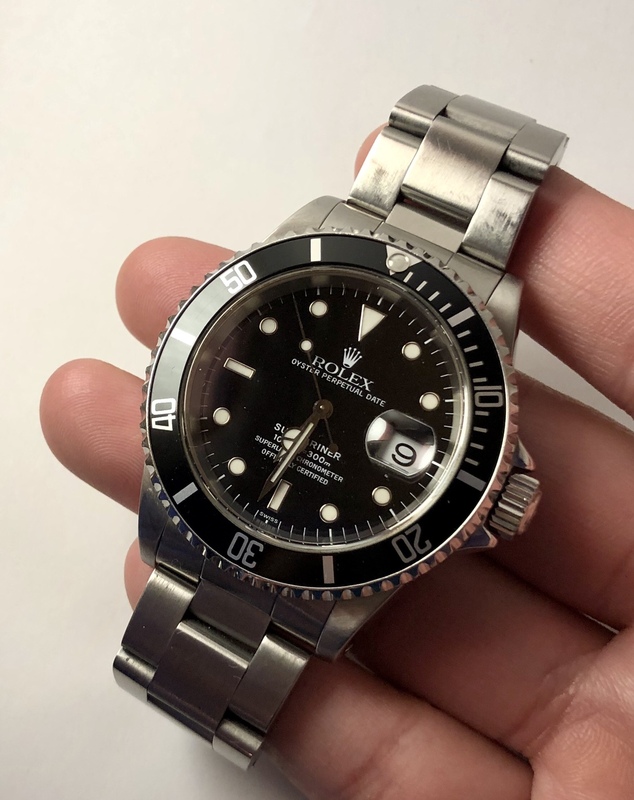 Up for sale is a Rolex submariner for sale in US only. The service history is unknown, but the watch is keeping good time. The condition is good with light superficial scratches throughout. Asking $6100 net to me. All links to bracelet are included, includes box, but no papers/booklets. Also, watch was produced in year 1999 per serial number.